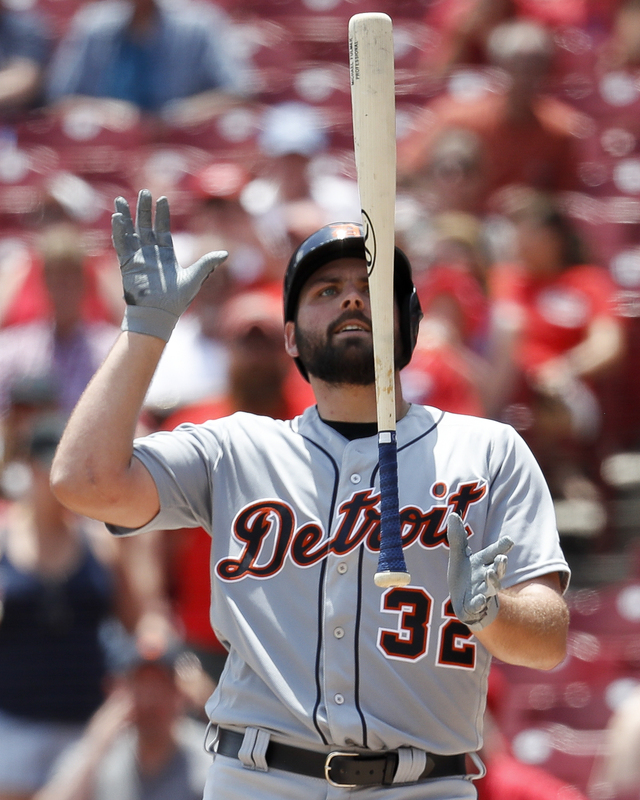 CINCINNATI (AP) — The Tigers knew exactly what hit them — the daunting combination of a homer-friendly park and a free-swinging Reds offense starting to come around. Scooter Gennett hit a tying two-run homer , and Eugenio Suarez also connected on the next pitch — a hit originally ruled a double but changed to a homer on review — for a 5-3 victory and a two-game sweep on Wednesday. After managing only a pair of singles through the first five innings, the Reds finally got to Michael Fulmer (3-6). Gennett connected with two outs for his 13th homer, tying it 2-2. “I thought it was a great pitch,” Fulmer said. “I’m mad at the results, but I’m not mad at the way I pitched.”Suarez hit Fulmer’s next pitch to left field, with the ball landing on the top of the wall and bouncing back into play. The Reds sounded their home run siren and shot off fireworks, but the umpires ruled the ball was in play and stopped Suarez at second base. After a review of 1 minute, 12 seconds, the hit was ruled a homer — replays indicated the ball skipped off the top of the wall and deflected off a railing behind it. Adam Duvall added a solo shot in the eighth as the Reds out-homered the Tigers 3-2. Tyler Mahle (6-6) overcame a pair of solo homers to remain unbeaten in four June starts. The rookie has allowed a total of four earned runs while going 3-0 in the month. He struck out eight in six innings of his team-high sixth quality start.